When your cabinets need a facelift, but you're operating under a shoestring budget, consider a distressed finish by applying glaze. Because glaze is translucent, you apply it over other finishes and the underlying layer continues to show through the glaze. Create an antique look by mixing a paint color with the glaze and then applying it over a polyurethane layer on cabinets. This process requires minimal preparation and just a few basic tools. Give finished cabinets an antique look with glaze. Remove the cabinet fronts from the cabinets with the screwdriver and place them face up on the sawhorses to enable you to work on them. Remove the hardware with the screwdriver. Sand the polyurethane finish with the sandpaper to give it a rough texture. 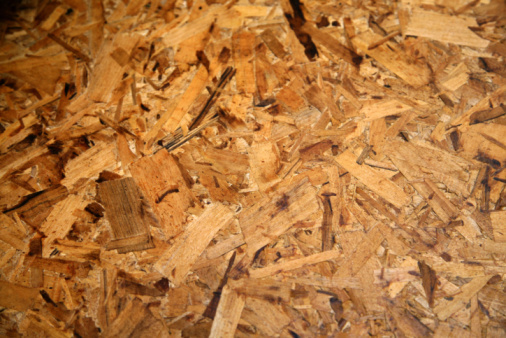 Sand with the grain of the wood and do not sand exceedingly hard -- just enough to make the surface slightly rough. Wipe the sanded surfaces of the cabinets with the tack cloth to remove dust. Mix the glaze with paint, if you desire, or apply only glaze to the cabinets. If you mix paint with the glaze, create a light glaze effect by mixing 1 part paint and 3 parts glaze. Create a medium effect by mixing equal parts of paint and glaze. Create a dark glaze effect by mixing 3 parts paint and 1 part glaze. Stir the paint and glaze completely to mix the ingredients. Dip a clean rag into the glaze mixture and apply the glaze directly to the cabinet. Apply the glaze in circular motions or in straight up-and-down motions. Work in a small 10-inch square area to apply the glaze, and then use another clean rag to rub away the excess glaze. Take your time to apply glaze to every crack and crevice of the cupboard, wiping the excess glaze off with the cloth. 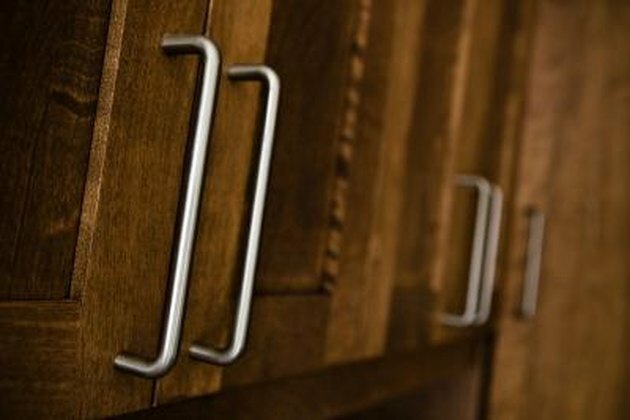 Allow the cabinets to dry completely, and then reattach the hardware to the cabinets. Hang the cabinet fronts back on the cabinets to finish the project. What Is Glazing a Cabinet?